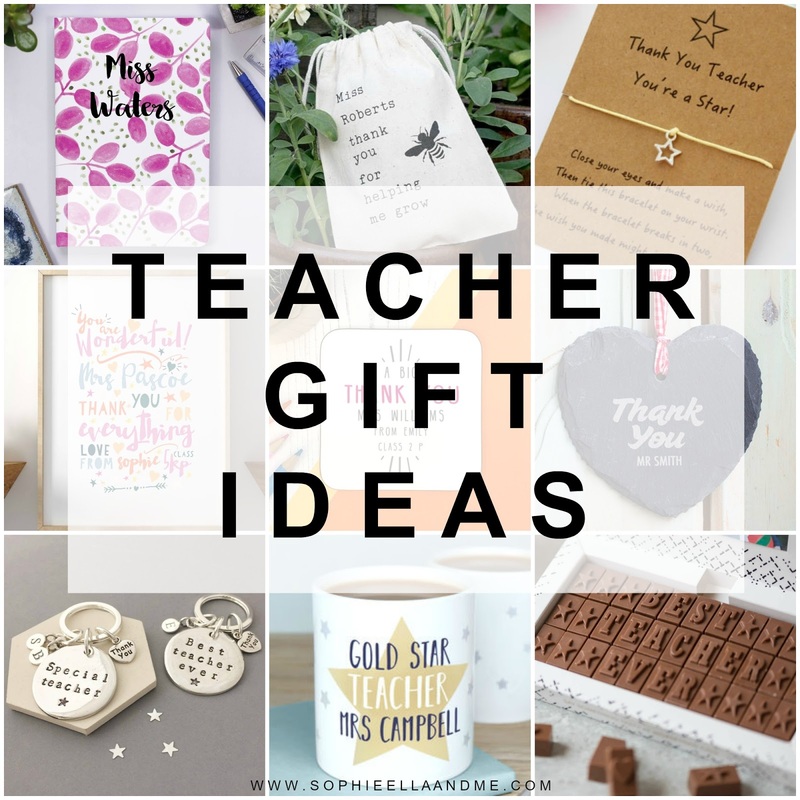 It's coming to the end of term and the six-week holidays are just around the corner, so I thought it would be an ideal time to share some teacher gift ideas for those who are struggling for ideas. I've been on the hunt for an inexpensive gift for Sophie's pre-school, as she graduates at the end of July ready for starting school in September. There are so many lovely gift ideas out there, so I have put together a list of my favourites and they are all under £15 too - which is a bonus! I've included a variety of different ideas; from notebooks and coasters to personalised prints and chocolate, you are bound to find the perfect gift! What do you think of my picks? Do you buy your child's teacher a gift at the end of the year? These are such great ideas! I'll have to get a few for the end of term! Lovely picks. We just went with a simple candle and plant as they will still attend the same place where Matthew's pre school teacher is.